Saturday is a day for swooning. Swoon Worthy Saturday is a weekly meme where in we present a fictional boy who has swept us off our feet, given us butterflies, made our heart do acrobatics and driven us absolutely crazy! 1. Choose a book boy to feature on a lovely Saturday. » Swoon Worthy Saturday – Grab the SWS button, add a brief description of the meme and make sure to link your readers back here. » The Gist – Describe this fictional lad. List down his physical characteristics, identify his personality and show us who he is. » Swoon Worthy Moments slash Quotables – Which parts of the book had you swooning over this boy? Anything he said that made you fall so madly in love with him? 3. Share your post with everyone! 6. Has someone already featured your chosen fictional boyfriend? It’s fine! Go ahead and feature him too. Are you ready to join this craze? Leave your blog link at the comment section so I can check out your SWS posts! 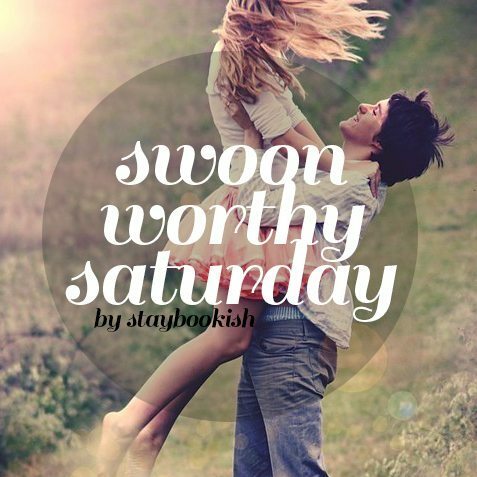 We love the idea of Swoon Worthy Saturday and have just started our book blog. This is our first Swoon Worthy Saturday post.